President Lincoln had attempted to assuage Southerners’ fears on this same point in his Inaugural Address on March 4, but the South remained convinced that the new Republican administration was, in reality, an abolitionist administration. The Senate did not believe its resolution would bring any of the eleven seceded states back into the Union, but it did hope its action would reassure the border states that slavery was safe from federal interference. 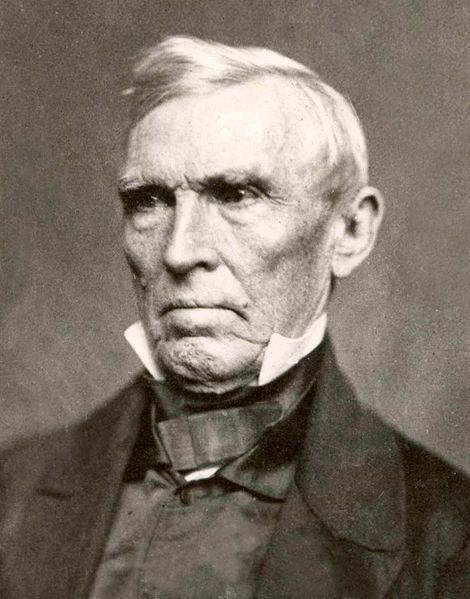 One day after the North’s disastrous loss at the Battle of Bull Run, the House of Representatives approved Crittenden’s justification for the war by a vote of 117 to 2. Tensions in the Senate chamber rose when John Breckinridge, presidential candidate for the Southern wing of the Democratic Party eight months earlier, declared that the war was caused by Congressional inability to compromise and that it was Lincoln who was chiefly responsible for the war. This was too much for John Sherman from Ohio (and younger brother of William Tecumseh Sherman), who challenged the Kentucky senator’s understanding of the war’s origins. At the opening of the next session of Congress in December, an unsuccessful attempt to “reaffirm” the Crittenden/Johnson resolution was made. But by then, with the country firmly in the grip of war, the popular and political tides were turning against the institution of slavery. In August Congress had passed the first Confiscation Act, which allowed slaves to be taken from owners who were actively supporting the Confederacy. Minutes after tabling the proposal that the resolution be affirmed, the House began debating the abolition of slavery in the District of Columbia, and on April 3, 1862, Congress voted to do just that. Six months later, President Lincoln issued the Preliminary Emancipation Proclamation. Congressional Globe, 37th Cong., 1st Sess., pp. 222-223 , 257-265; Ibid., 37th Cong., 2nd Sess., pp. 15-16; Orville Vernon Burton, The Age of Lincoln (New York: Hill and Wang, 2007), p. 132; James M. McPherson, Battle Cry of Freedom (New York: Ballantine Books, 1988), p. 312.